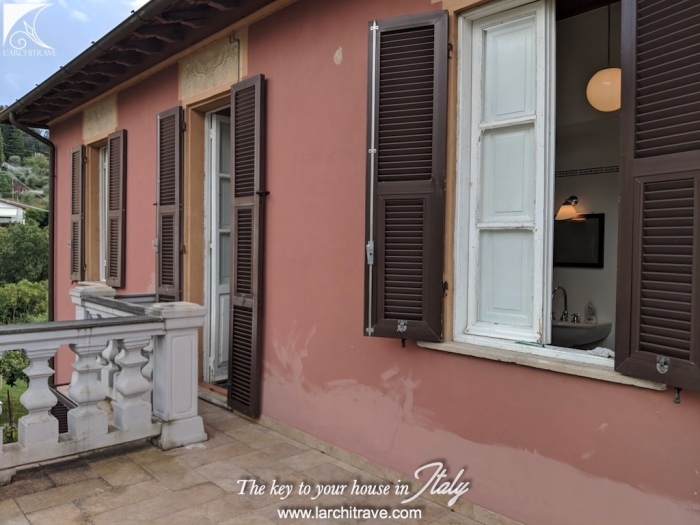 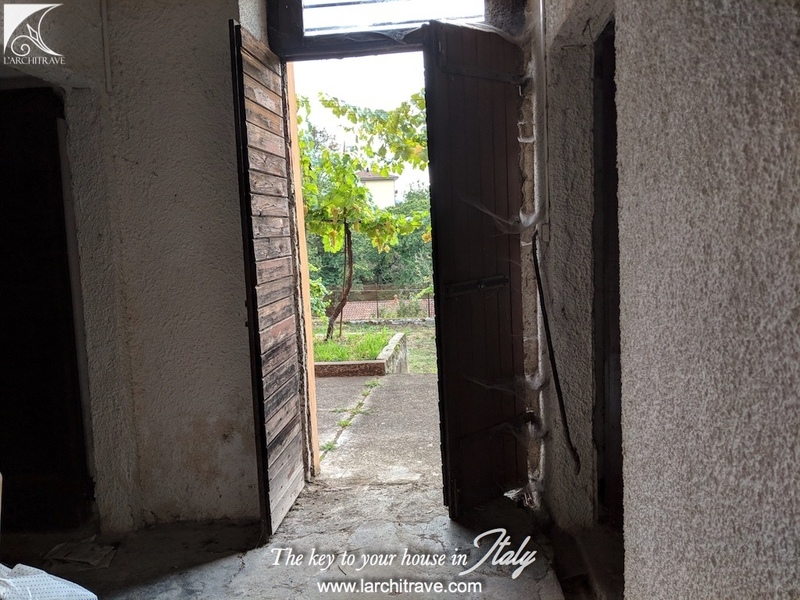 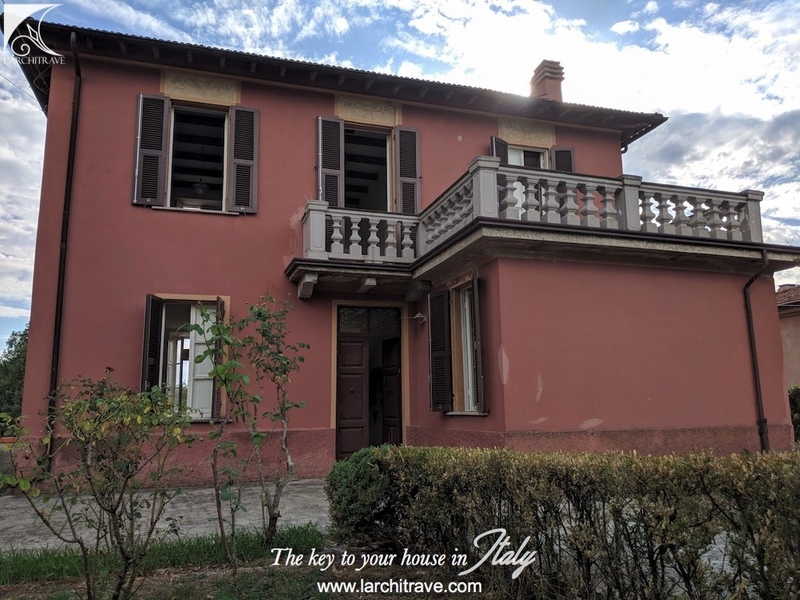 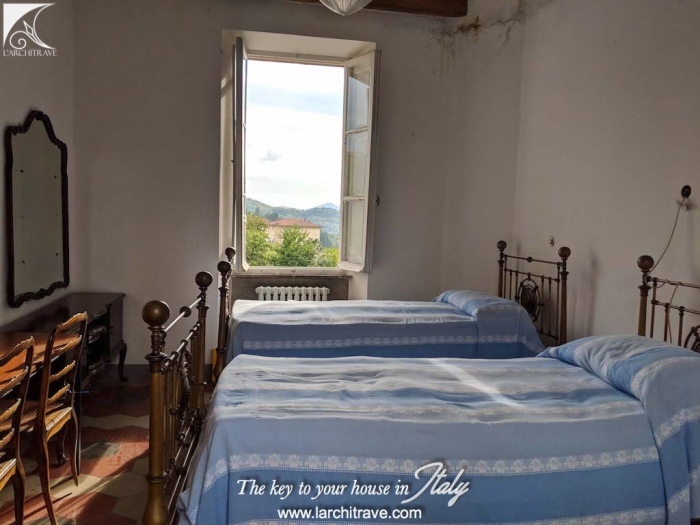 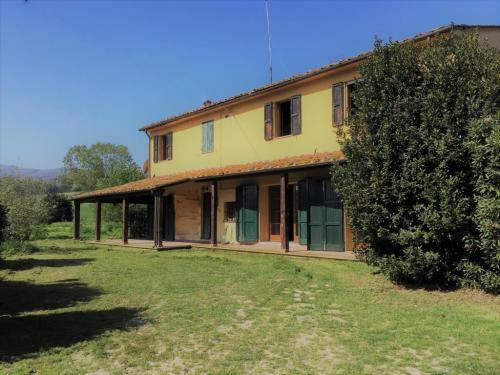 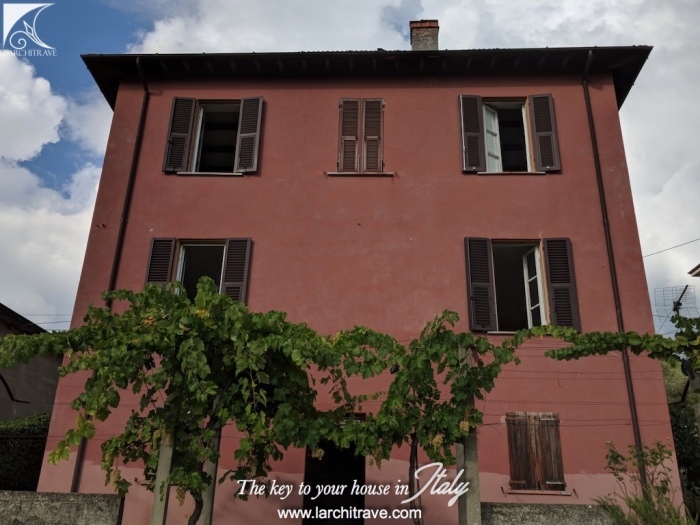 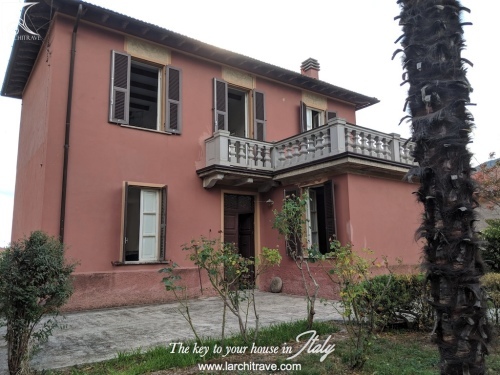 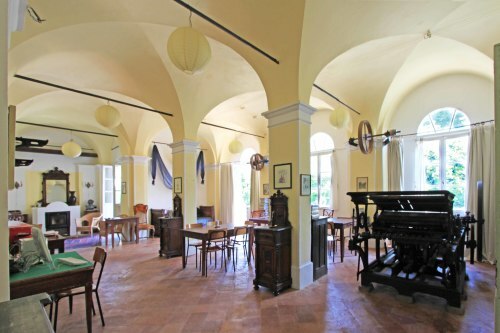 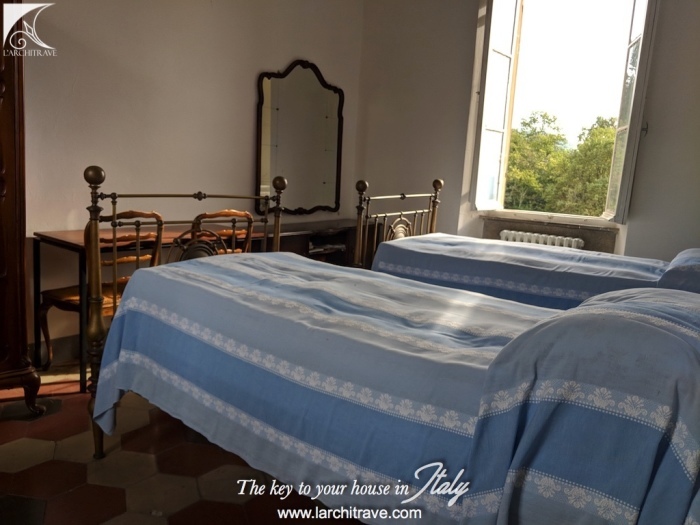 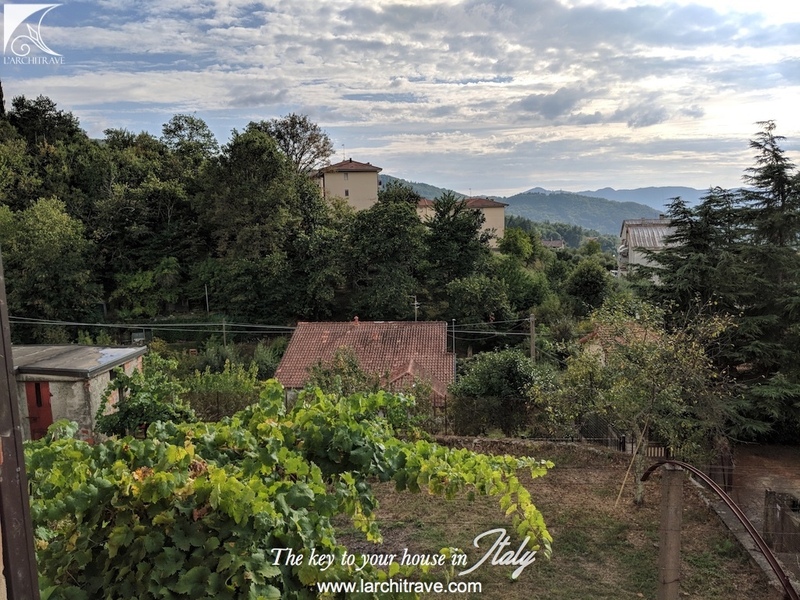 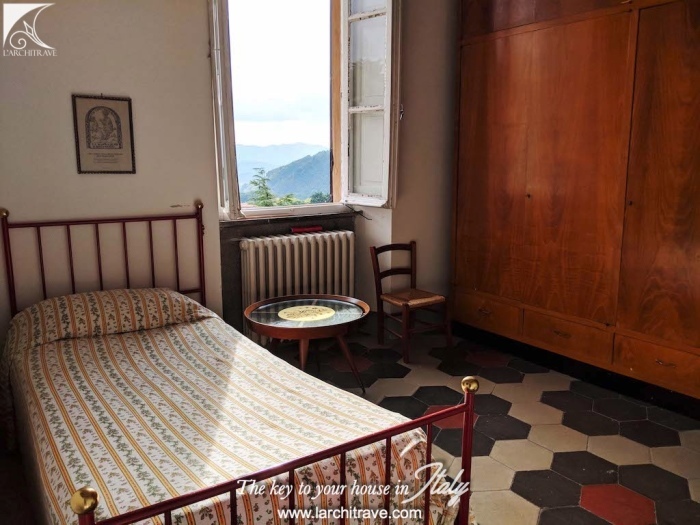 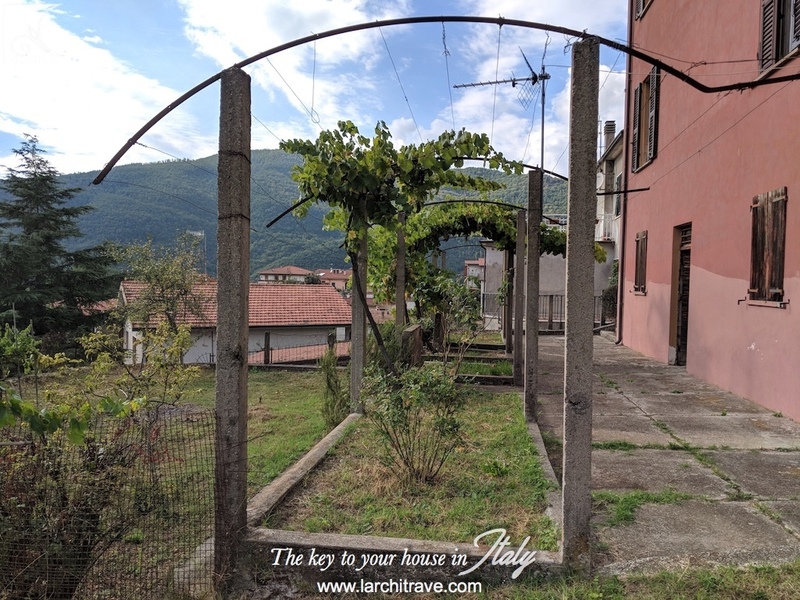 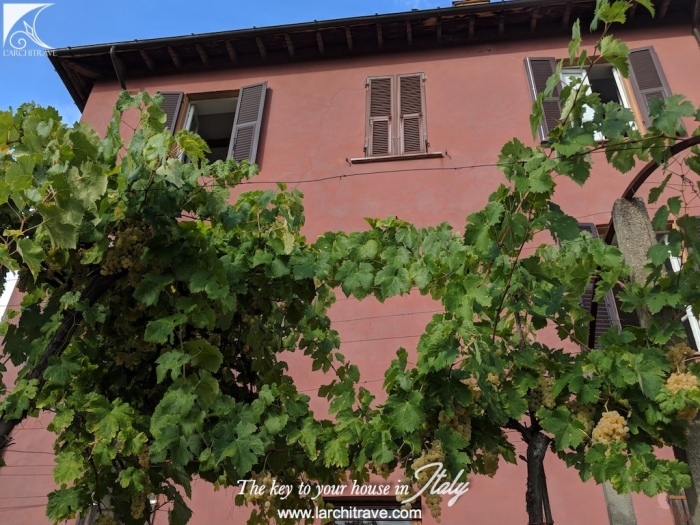 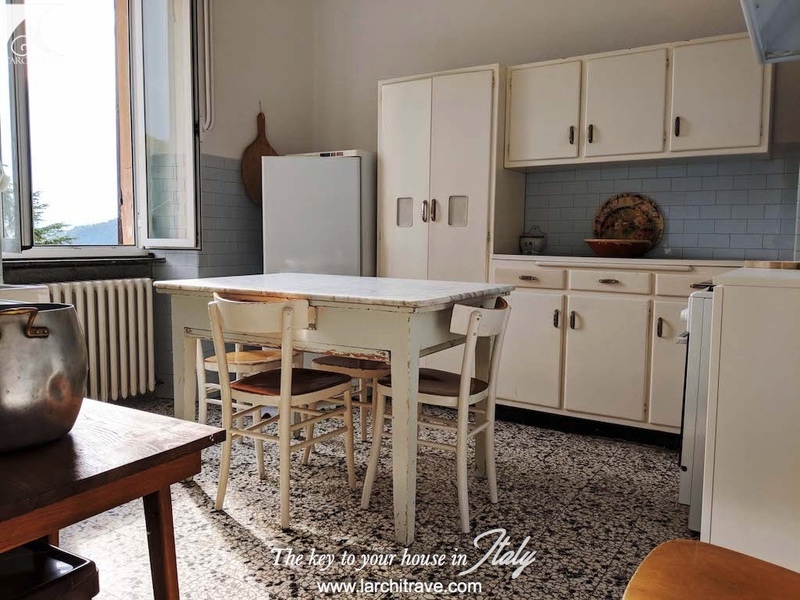 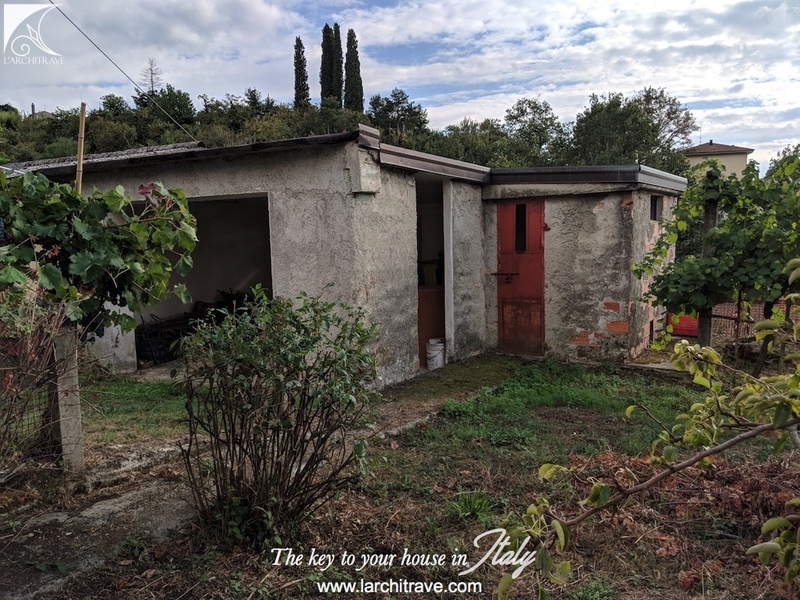 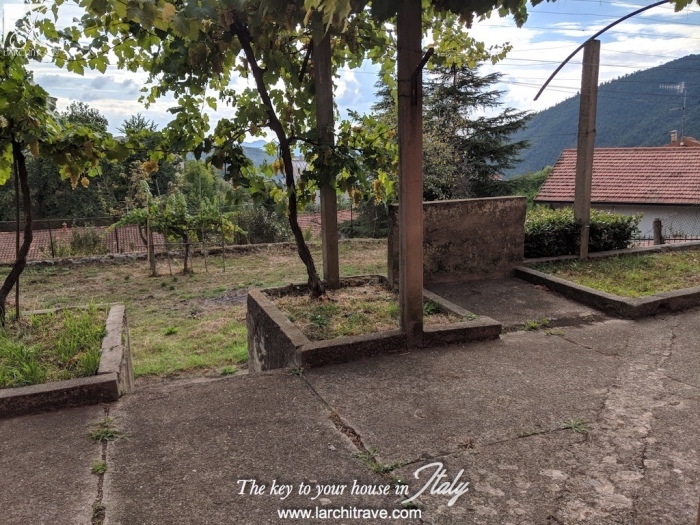 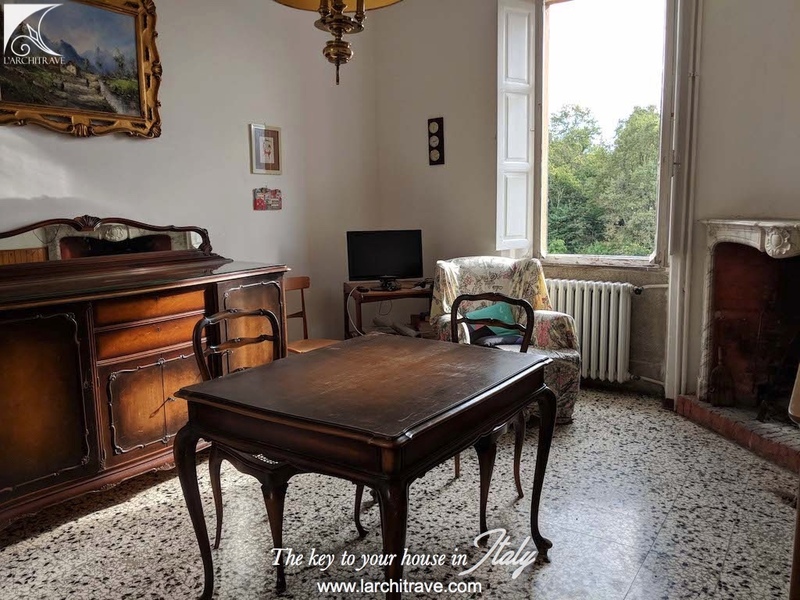 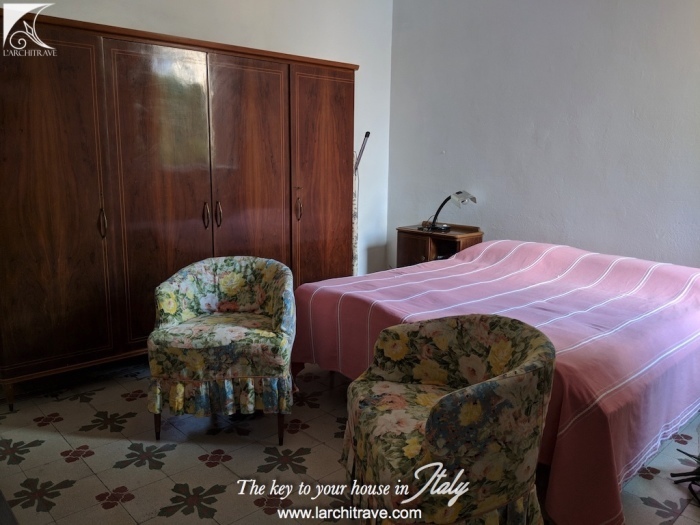 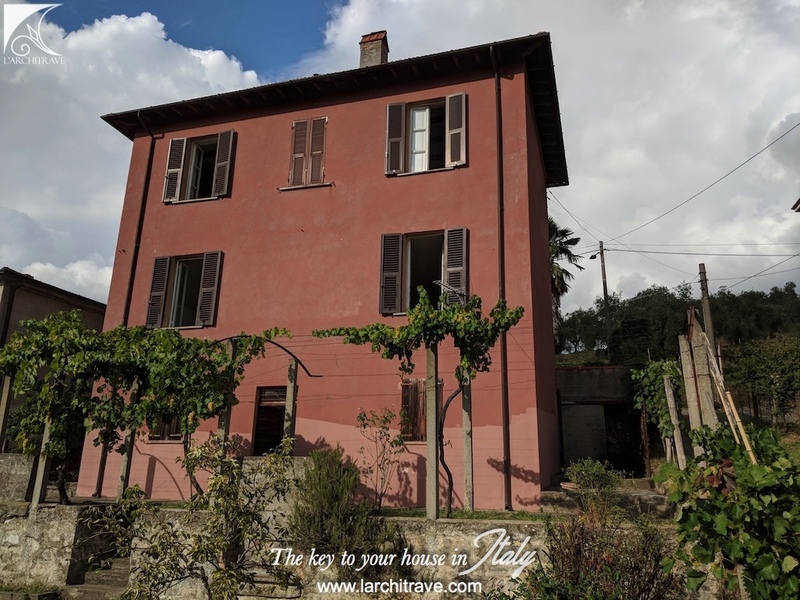 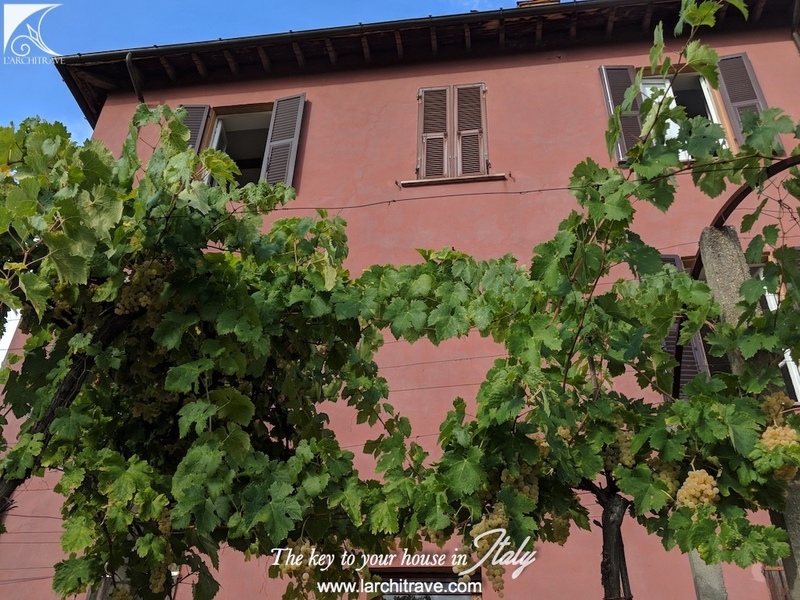 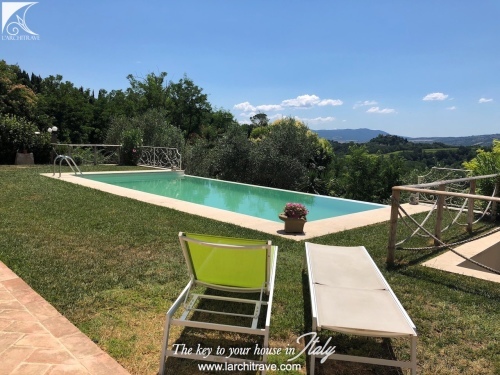 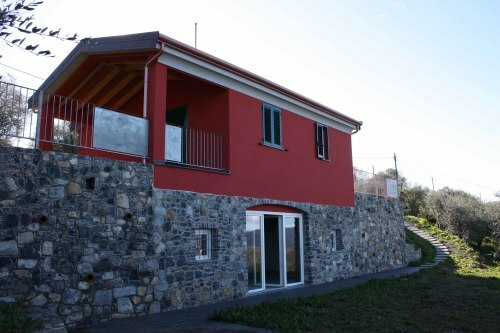 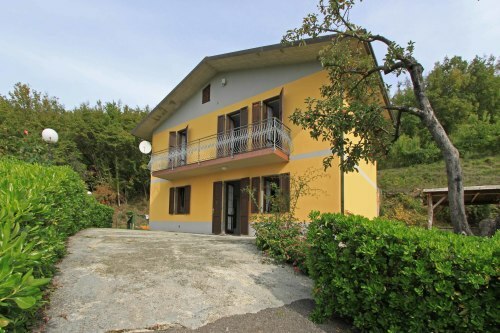 Beautiful 1920's Liberty style three bed villa with large terrace and garden on the edge of Fivizzano. 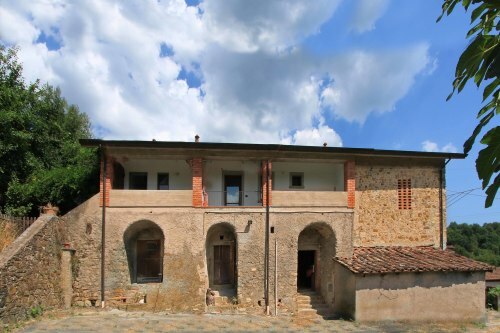 The villa requires some restoration. 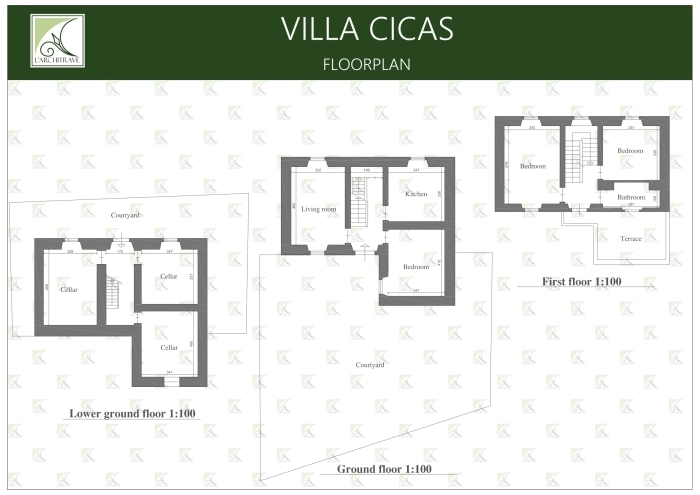 The ground floor consists of entrance hall, living room and a lovely light kitchen which holds a good table and chairs. 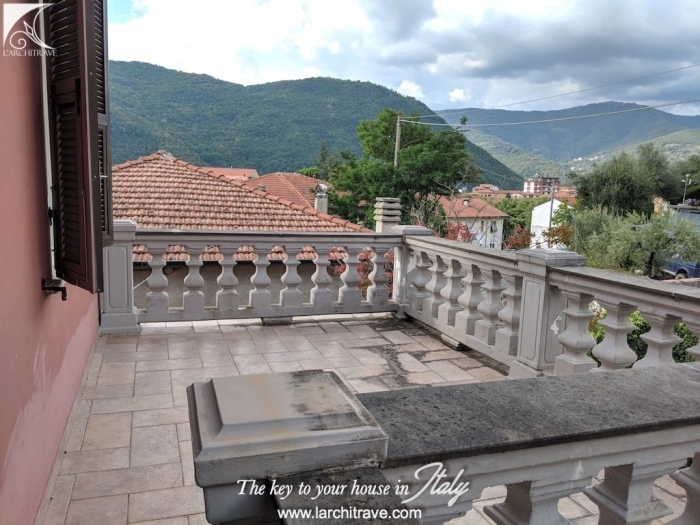 an impressive marble staircase leads up to three double bedrooms, bathroom and wonderful terrace. 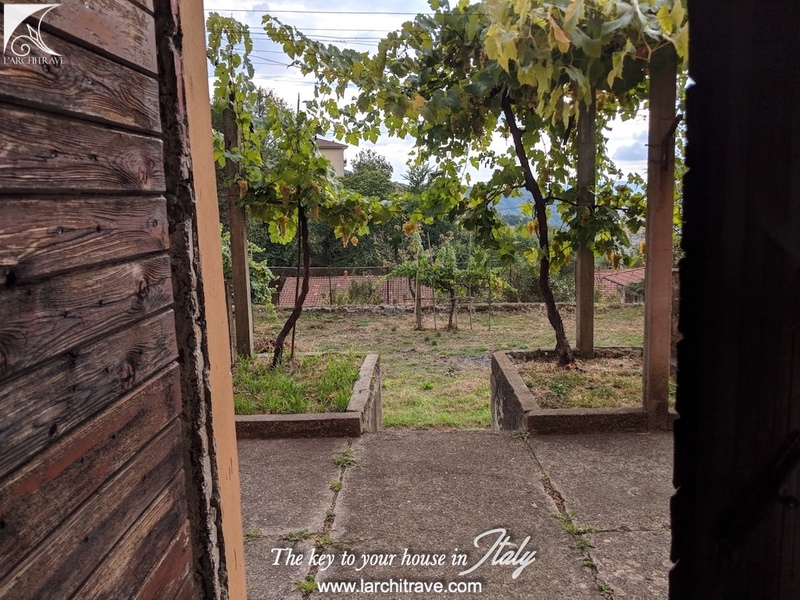 Three cantina rooms (cellars) open onto the garden. 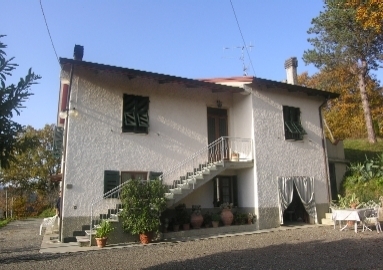 Garage with access to the road. 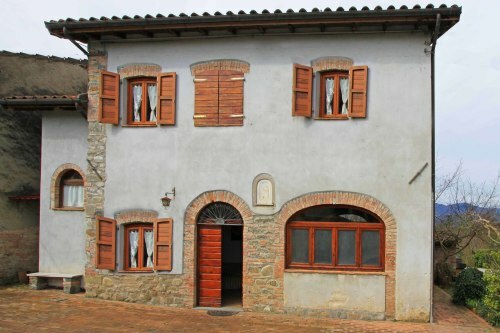 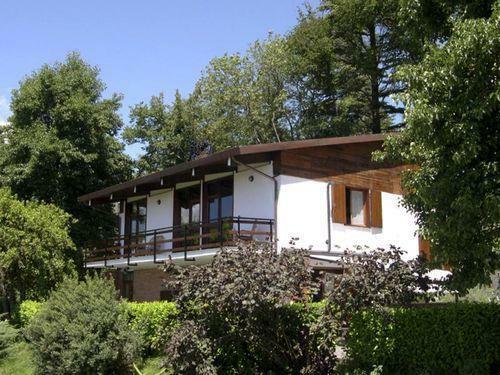 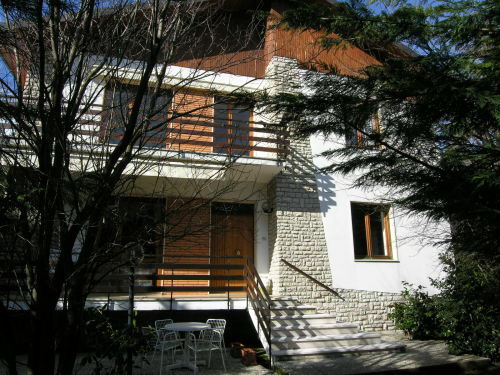 Fivizzano is just 2 km, Aulla 13 km, ski resort 25 km, beaches 35 km, Pisa (airport) 95 km.